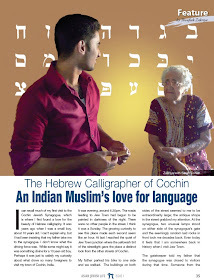 Jews of Malabar: Targum Malayalemi : An exotic Hebrew-Malayalam manuscript from Cochin. 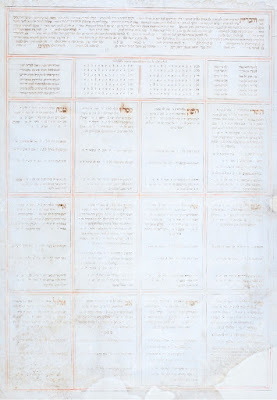 Targum Malayalemi : An exotic Hebrew-Malayalam manuscript from Cochin. 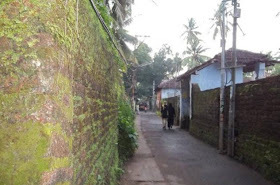 The last article about the Malayalam translation of Bible and the role of a Cochin Jew in it was just an opening to explore the literary richness of the Jews of Malabar. 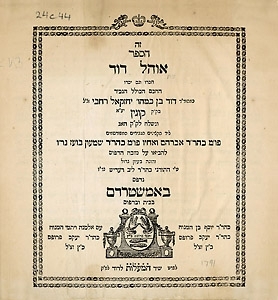 The vibrant community gave birth to many talents, Poets like Eliahu Adeni, Nehemiah ben Abraham Mota, Levi ben Moses Belilah, Ephraim Saala, Solomon ben Nissim, and Joseph Zakkai some of their works were part of Cochini Minhag which were later integrated into the liturgical books. David Rahabi was Cochini calender maker, He is known for his work "Ohel David", ( Amsterdam, 1785), which treats on the origin of Hebrew Calendar, and its comparison with Islamic and Hindu calendar. Which aided the community to prepare their wall hanging hand made event calendar. One of such last calendar was prepared by Johnny Hallegua in 2011. 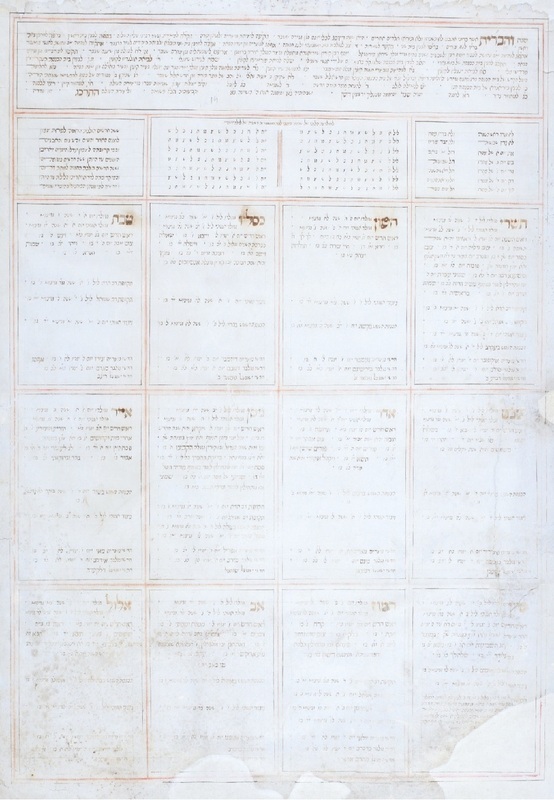 Manuscript wall calendar from Pardesi synagogue, by an unknown Scribe dated 1862-1863. Historical records by Mudaliar Joseph Hallegua, Naphtali Eliyahu Rahabi and other later Jewish historians from Cochin shows an excellent chronicling nature of the community. And the community also had many unknown Soferim (Scribes) who made exquisite Torah scrolls, Megillah and Mezuzahs of Cochin and even purchased by Jews of far flung places. 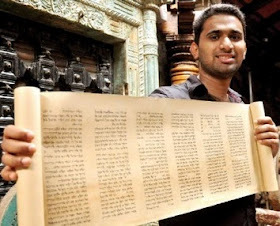 In this article we will discuss about, a late 19th century Hebrew-Malayalam Targum manuscript from Cochin, which also include a small portion of liturgy poems. Traditionally the Aramaic translation of the Bible is known as Targum (תרגום‎) It forms a part of the Jewish traditional literature, and in its inception is as early as the time of the Second Temple. But on a later context the word is also used to indicate the spoken paraphrases, explanations and expansions of the Jewish scriptures that a Rabbi would give in the common language of the listeners. The title seems to be very exotic, and it is. "Targum Malayalemi" (תרגום מליאלמי) or more specifically "עם תרגום מליאלמי" which roughly means "with Malayalam translation". A page from the Manuscript, Targum Malayalemi. The colophon of this book is a brilliant example for how the information about the attributes is to be stated. Few Malayalam words of Dutch-Latin origin is also seen in the translation, an example is ഓടാത്ത, (odatha) its etymology is the Latin loan Dutch word "Hortus" which means Garden. 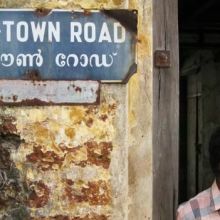 This word was came into Malayalam during Dutch rule. Only few examples are quoted here from the preliminary analysis of the book. 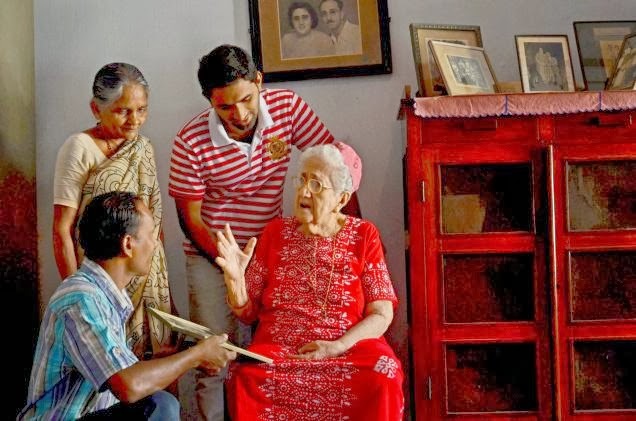 Kol ha-kavod Thoufeek, and thanks for posting these valuable contributions to Kerala Jewish history! 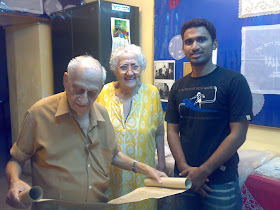 You make a very useful connection between David Rahaby's 18th century Ohel David and the hand-written event calendars produced in Kerala since then, coordinating the Hebrew calendar with the other calendars of Kerala. What a fine illustration of "hybrid culture" (Scaria Zacharia) or "cultural symbiosis" (M.G.S. 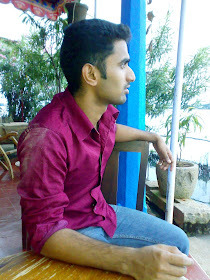 Narayan). Special thanks for posting the event calendar hand-written by Johnny Hallegua z'l. 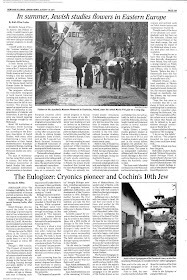 Also, you can find a number of other examples like the Targum you included here, found in the Magnes collection of Jewish Art and Life and in the Sassoon Collection listed in Sassoon's "Ohel David" (1932). Among the many things I learned from Ophira Gamliel's brilliant PhD dissertation (Hebrew University 2009) was the contrast between these literal Malayalam "tamsir" translations of Hebrew texts used by the Kerala men and boys for study and the much more poetic Malayalam versions of Hebrew piyyutim that are found among the songs that were sung and preserved by the Kerala Jewish women. Good work, Thoufeek, and hearty good wishes for your continuing research! Thank you Dear Barbara for your wonderful and inspiring comment. As a person from Cochin these Malayalam/ Malabari Targums amused me, that these were prepared from this small Island. Ophira Gamliel's PhD dissertation give wonderful explanation about the "Tamsir" and "Arttham" translations of Cochini translations patterns, as far as i learned this manuscript could be categorised under tasmir. Even the piyyutim in this manuscript is tamsir as translation is more straight and less poetic. One more feature is that the translations of words for some spices and frankincense like cinnamon, aloe, calamus, myrrh, nard are wrongly translated. an example: The Hebrew word מור, is translated as "ചന്നന്നം" (Channannam) an old word for Sandal wood. Rose of sharon are lilly are translated just roughly as flowers. Will be working more on this manuscripts. Thanks for clarifications. Sorry I had missed your earlier postings- and now very glad to catch up with your work!